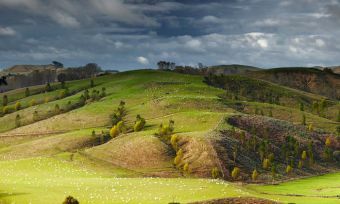 After a tough 2015 for farmers, the arrival of El Nino means that the tough conditions New Zealand farmers have endured throughout the year seem set to continue in 2016. El Nino and La Nina are weather cycles that are associated with sustained periods of warming or cooling respectively. El Nino occurs when sea temperatures in the Pacific Ocean become significantly warmer than average, causing a shift in atmospheric circulation. The warming of ocean temperatures in this area creates more favourable conditions for cloud development and rainfall. This means that El Nino causes much wetter and stormier conditions in the Eastern Pacific, and much drier conditions in the Western Pacific, including New Zealand. In the particularly severe El Nino events of 1973 and 1983, New Zealand experienced severe drought in the Eastern parts of the country. Given that the current El Nino phase is also very strong, more of the same is expected in 2016. Ocean temperatures in the East Pacific are already two degrees above normal, which is the warmest they have been in 20 years. The last time New Zealand saw conditions like this was in 1997, when a severe drought wiped out $618 million from the economy. The agribusiness sector was particularly damaged. The National Institute of Water and Atmospheric Research (NIWA) believes that temperatures are expected to be roughly average throughout the North Island and the East of the South Island. They also expect rainfall levels to be below the normal level for the North and East of the North Island and below normal for the South island as well. The farming industry already had a tough year in 2015 and the evidence suggests that the El Nino summer means another tough year of drought is ahead. 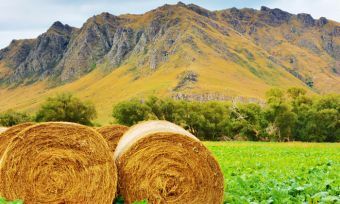 The majority of farmers see no relief from the harsh weather conditions coming in the New Year, according to a poll conducted by Federated Farmers of New Zealand. 52% of them believe that market conditions will stay the same, and 19% predict worse times to come. Confidence is greatest among dairy farmers, with 41% surveyed believing in improved market conditions, compared with 29% overall, 19% for the meat and fibre industry and 17% among arable farmers. 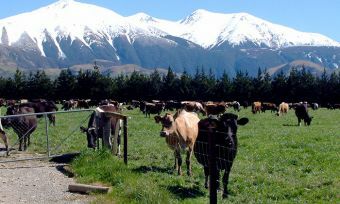 Federated Farmers President Dr. William Rolleston believes that “2015 will be remembered as a year of low milk prices and adverse events such as droughts and floods that have impacted farmers’ bottom lines and put New Zealand’s biggest sector under enormous pressure”. However, El Nino does not guarantee drought, and some farmers have taken a far more optimistic approach to 2016. Farmers in drought-stricken North Canterbury have just celebrated their first significant rainfall in over a year, with the New Year downpour of 30-60 millimetres reaching a quarter of the total for the entirety of 2015. A little more rain is expected in the region over the coming weeks, but ultimately, The El Nino weather pattern should see the weather conditions become dry once more. While this isn’t a disaster for the farming industry, it will certainly mean another tough year is ahead. It will be important for farmers to prepare for the worst.